While recently we have been focusing on the newly entered Chinese smartphone brands, Oplus has launched the Oplus XonPhone 5 in India. Oplus has announced the launch of the Oplus XonPhone 5, which is the company’s first smartphone in India. The device has a 6 inch IPS display with One Glass Solution and resolution of 1280 x 720 pixels. The smartphone is powered by a quad core MediaTek processor clocked at 1.3 GHz along with 1 GB of RAM and 16 GB of internal storage. 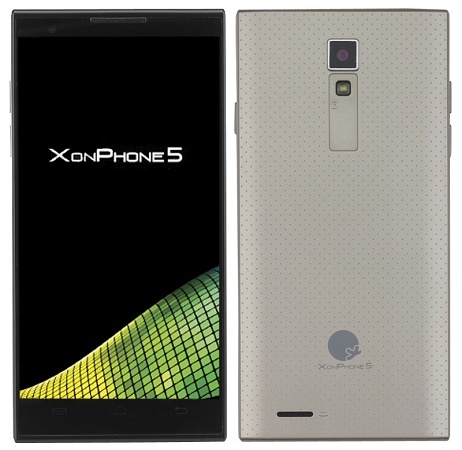 The Oplus XonPhone 5 has an 8 MP rear facing auto focus camera with LED flash. There is also a front facing 2 MP camera. The device runs on the latest Android KitKat version with a 2000 mAh battery. The handset is priced at just Rs. 7999 and is available in silver, grey and gold colour options. The phone will be sold exclusively through Snapdeal.